The residential freezer is a hard working appliance. It runs constantly in able to keep food frozen. When your unit stops working, give us a call. We offer same day freezer repair in North Plainfield, New Jersey. The moment your appliance quits working, the temperature starts rising. Before you know it your food is in the temperature danger zone. This is the temperature when bacteria begin to grow rapidly. Don’t allow your food to spoil. Contact our experienced experts for fantastic freezers care. 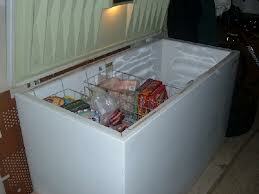 We are the company to turn to for dependable freezer repairs. Our specialists have the training and polished skills to fix all freezer makes and models. We have worked on all brands at one time or another. Each member of our crew knows exactly how to troubleshoot a broken freezer. We bring all the parts that typically go bad on these units. Our pros can quickly change out a thermostat or replace seals and hinges. We can replace a faulty switch just as fast. You can turn to us for service on your icemakers as well. There are many appliance service companies that offer residential and commercial freezer repair. We offer these services on the same day you call. In addition, we guarantee the work we provide. Our techs are as honest as the day is long. We provide you with straight forward invoices. You won’t locate any hidden fees or charges. We don’t take shortcuts. There is something to be said for running a business with integrity. 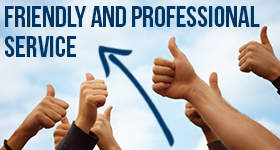 At Appliance Repair North Plainfield, we believe honesty is always the best policy. We treat you the way we want to be treated. Your freezers need trusted care and we are prepared to offer it. If you need reliable North Plainfield freezer repair service, give us a call. We will provide same day care at an affordable rate.